With April the Giraffe due to give birth any day now the world has gone a little bit giraffe crazy… and well, so have I! I’ve always loved giraffes, and now everyone is jumping on the bandwagon! 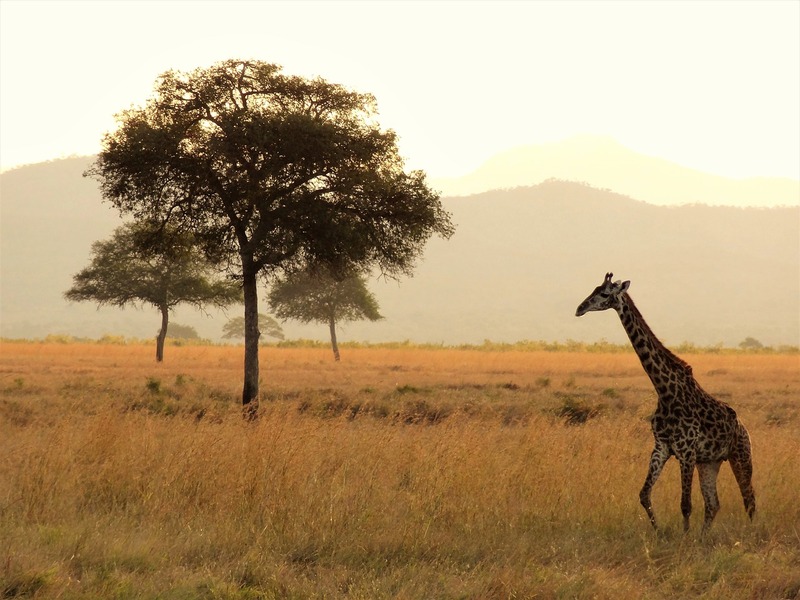 I do love giraffes. I’m a little bit obsessed with one photo in particular by Ron D’Raine called Giraffe, First Kiss, but they are just such exquisite animals. How can G be for anything else other than Giraffe?? 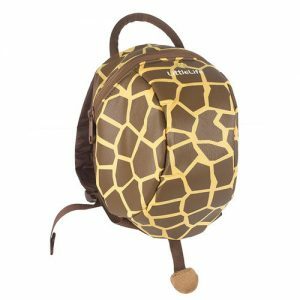 This Giraffe Daysack adds a touch of fun to any day out! 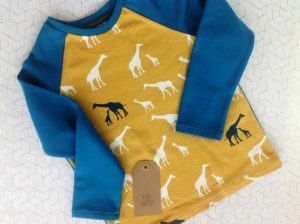 I love the print on this one – it’s wonderfully neutral, and the little tail is just an adorable touch for your little giraffe adventurer! It holds lots of stuff and the removable safety rein gives crucial parental control when you’re out and about. It has adjustable straps to ensure comfort, and a top grab handle for when your little one tries to make a break for it! Perfect for travel, school or days out! 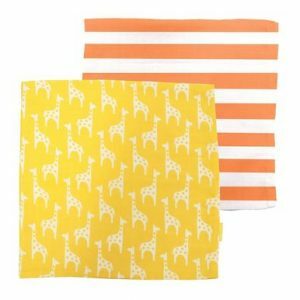 The super-cute giraffe print all-in-one comes in sizes newborn all the way up until 3 years old… so it’s great for babies and toddlers alike. A giraffe taking a swim with frogs on its back isn’t something that you see everyday now, is it?? Etsy is a great place to go if you’re looking for independent designers, and unique one-offs. This shirt from Bebe and Mattie is so stylish! I love the bold colours of this shirt; great for everyday wear, and for standing out in the crowd! Bebe and Mattie have a great range of prints which they have made into tops and dresses; check out the full range on Etsy. Great quality muslins are a must have – you use so many of them with a baby, you really never can have enough! There are so many great prints available these days, and this giraffe print from Toby Tiger is no exception! I just love how bold these muslins are. They are 100% organic cotton too! Has April the Giraffe had her baby by the time you’ve got to the bottom of this review? Check out the live feed below and find out…! I Need a Hero! | My Pregnancy Superheroes!